The Discount Rates Are The Combination of The Asset’s Cost of Debt and Cost of Equity. If you have not read the first part of this article, please read it first here. The combination of the cost of debt and equity is known to most as the Weighted Average Cost of Capital (WACC). WACC is the big picture which combines the cost of debt and cost of equity to get the discount rates we can use to value stocks. It is essentially the cost that the firm incurred to raise the funds they need to start and run their operations and earn cash flows. However, let us understand deeper on what makes up and the factors that affect them. In the cost of equity, it has to include the risk premium for the equity risk. In finance, the risk is the variance in actual return around expected return- the greater the variance the riskier it is. We are able to decompose risk into non-diversifiable risk and diversifiable risk. There are many risks and return models that attempt to measure non-diversifiable (market) risk- and that is also the only risk that we should be concerned and should be measuring to get our cost of equity. With all financial models, the key is how we estimate the inputs. There are many models such as Capital Asset Pricing Model (CAPM), Arbitrage Pricing Model (APM), Multifactor Model, Power Law Distribution, Asymmetric Distribution as well as Jump Process Model and Proxy Model. The widely used one to measure the cost of equity is Capital Asset Pricing Model (CAPM). Why is it the most widely used model? It is the most intuitive one to use. It generally, uses less input and therefore fewer assumptions as compared to the others. How To Calculate The Cost of Equity? CAPM = Risk-Free Rate + Beta (The only firm-specific input in this model)*(Expected Yearly Market Return during That Period – Risk-Free Rate). (Expected Market Return during That Period – Risk-Free Rate) is also known as the risk premium. So CAPM can also be considered as Risk-Free Rate + Beta (Risk Premium). The fundamental of the CAPM model is that any risk of any asset have is the risk it adds to the market portfolio- via the combination of beta and risk premium. Using this model, we will also be compensated for our time as well as the risk taken. How are we compensated for the time? It is via knowing the time horizon we are looking at,and how much risk-free rate we can earn from that time. How are we compensated for the risk taken? It is via knowing the beta of the firm and using it to calculate the cost of equity. Another way to understand Beta is that it is a measure of risk. A beta of more than one means that it is riskier than the average stock in the market. A beta of less than one means that it is less risky as compared to the average stock in the market. Do you also want to know how to calculate Beta? It is by taking the covariance of an asset with market portfolio (%) and dividing it by the variance of market portfolio (%). The good news is that the information for this is readily available and you do not need to calculate it yourself. While equity risk means the risk that the cash flow we expect from the assets differs to the cash flow we might receive, default risk is whether the firm can pay the cash flow they promised to pay. Many firms issue debt to raise funds through issuing corporate bonds. The fundamental logic is that the higher the default risk of the firm, the higher they should pay interest rates on their borrowing– which means higher default spread- which varies based on maturity date. Default spread means the difference in the yield on the bond as compared to a government bond of the same period. The question is, how do you measure the default risk of the firm? The good news is that there are already firms that are specialised in doing this- they are called rating agency– famous one are S&P and Moody’s. The ratings agencies generally rate companies default risk based on financial ratios that measure their ability and stability to generate cash flows from operations and their current financial obligations . For S&P, the best company is awarded AAA rating followed by BBB to the worst rating being D.
For Moody’s, the best company is awarded Aaa rating followed by Baa to the worst grading being D.
In the cost of debt, there has to be enough default spread to account for the risk of default of the debt issuer. For example, the default spread of an AAA rated bond of a company would be lower than the default spread of a BBB rated bond of another company. Taking into account this, the cost of debt of a BBB rated company would be more than the cost of debt of an AAA rated company. There is few company in the world that is able to achieve the coveted AAA rating by S&P- companies like Exxon Mobil used to have it until it was removed just a few days ago. Why was it removed? Well, it has got to do with the lesser confidence S&P has with Exxon’s ability to pay off debt as compared to last time– taking into account the current low oil price environment and how it is affecting Exxon, it comes as no surprise. 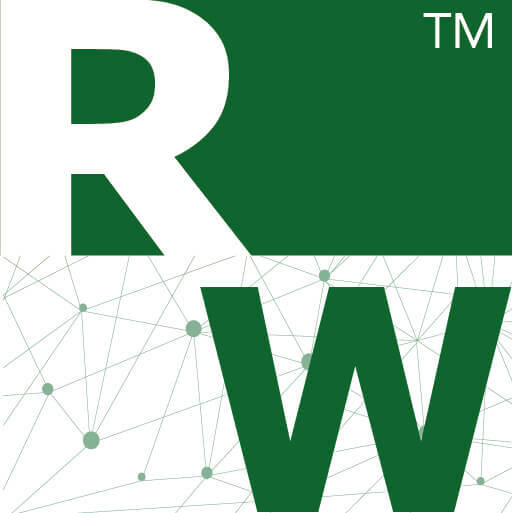 We are to find out the discount rates to use to value a stock called RTW. The time horizon that we are looking at is 10 years and the risk-free rate in a government treasury bond is 3%. The beta of the stock is 1.2 and expected yearly market return during that period is 9%. RTW was awarded AAA rating by S&P and their debt to equity ratio is 0.5. Their effective tax rate is 30%, what is their discount rates? Cost of equity = Risk-Free Rate + Beta (The only firm-specific input in this model)*(Expected Yearly Market Return during That Period – Risk-Free Rate). In conclusion, for company RTW we shall use a discount rate of 7.675% to value their stocks.